Despite an internal armed conflict lasting for more than half a century, Colombia’s democracy has remained stable and its economy has proved resilient. 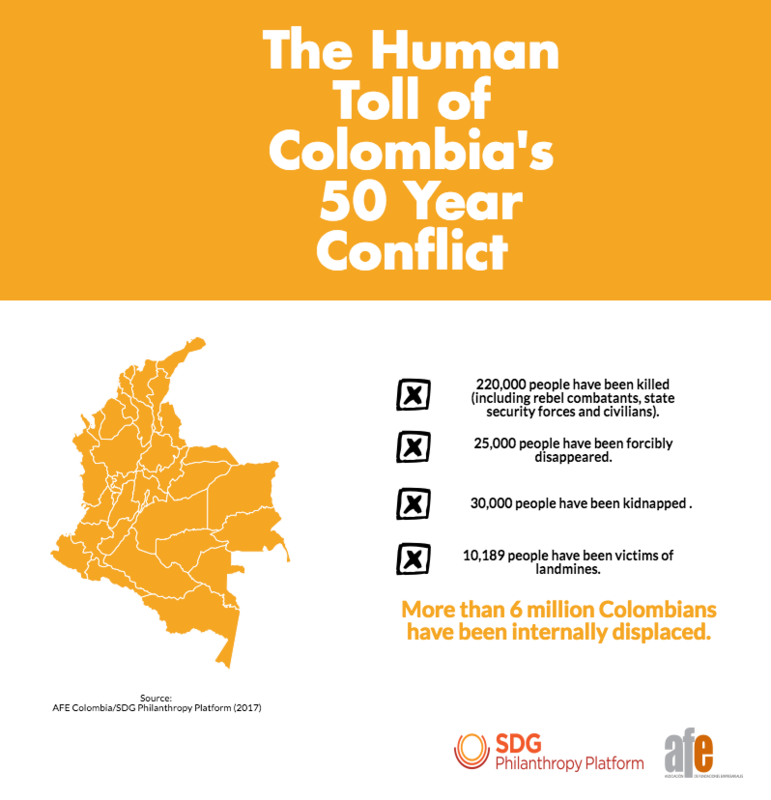 Colombia had made significant progress towards the 2015 development agenda, as defined by the Millennium Development Goals, including a decline in poverty rates. The country has shown social, political and economic resilience in the midst of a complex armed confrontation, of which the root causes have remained largely unresolved. This report argues that the contribution of philanthropy will be key to achieving sustainable peace due to its three defining features: i) its ability to create and focus on long term agendas ii) its ability to bring together various stakeholders around a common aim iii) its willingness to take risks and test new approaches to tackle persisting social challenges. This will be particularly crucial in the short term, namely the current period following the signing of the peace accord, which is likely to bring uncertainty as society adjusts to a new institutional landscape. A long-term vision and willingness to take risks are often elusive to governments and businesses due to their fiduciary duties and or short term execution cycles. Philanthropy can become a key player in the transition towards peace building, and in creating the conditions needed for sustainable peace by acting as a catalyst for innovation and collective action towards peace.